Formula 1 and the casino, luxury yachts and the best gourmet restaurants in Europe - all these, and many other elements of a luxurious life fit only 2 square kilometers. Of course, we are talking about Monaco that population density is one of the leading countries of the world. At the same time, real estate in Monaco is one of the most desirable shopping for wealthy customers, thanks to the high standard of living, the mild climate and the stability of this small principality in general. Having a villa by the sea or an apartment in Monaco in Monte Carlo, the owners can be sure about their financial future. 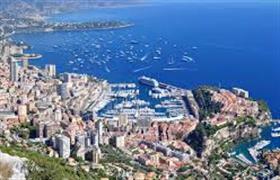 It's not a secret that the cost of luxury property in Monaco - one of the highest in the world. Of course, the largest groups of buyers in this small country are only a very wealthy people. But customers with more modest financial possibilities than the Arab sheikhs and magnates also could find attractive offers in the local market. For example, they can obtain a small studio far from the city center and away from the sea. However, even such lodging securely protects the capital against inflation, as well as super premium apartments. Lodging in Monaco - not a luxury but a necessity, especially for those who prefer to enjoy a luxurious vacation namely in this European country. After all, only your own house on the sea in Monaco or spacious apartments in prestigious areas of Monte Carlo, La Condamine or Fonveyya, will make your holiday comfortable and private. In addition, so-called holiday homes - a source of high additional revenue. Indeed not everyone can buy luxury housing in Monaco, but many could rent it. What do you need in order to buy a house in Monaco? Foreigners do not need anything, except money to buy a home in Monaco. Of course, for beginning the foreigner need to register his own company in Monaco. But if plans include the purchase of a land in the principality – you should immediately to give up on this. On the territory of this tiny country - a very strong shortage of land, especially for a new construction. That is why, buying a property by the builder in Monaco is almost impossible.